If you’re looking for a quick and cost-efficient way to transform the outer appearance of your home, updating your exterior paint color scheme can be a simple solution. 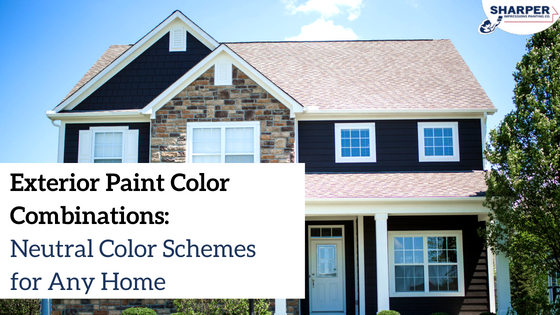 Whether you are looking to sell your house, or simply desire a color update, the following exterior paint color combinations can help you achieve your home improvement goals. 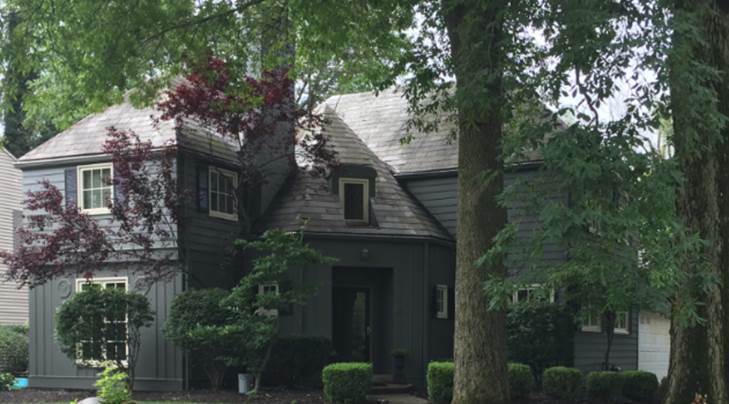 Before taking a look at exterior paint color combinations, you should keep in mind all of the colors on your home that won’t be changing: stone accents, brick, slate, roof shingle colors, and unpainted window frames should all be taken into account before choosing complementary paint colors for siding and trim. A good color scheme uses just two or three paint colors: one dominant hue for the siding and one or two complementary colors for doors, archways, windows, and other trim elements. Choosing colors in this way will ensure that your home looks classy and inviting. Too many colors can cause a home to look choppy, cluttered and smaller than it is. The following color combinations can look beautiful on all types and styles of homes. When you want a classic yet updated exterior, you can never go wrong with a combination of gray hues. 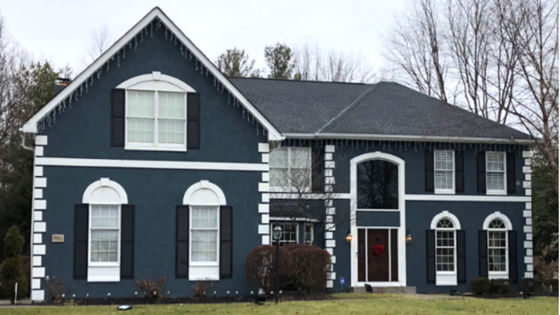 Not only can the right shade of gray look great on siding, choosing a darker, complementary gray hue for your shutters can provide excellent contrast. Gray can be extremely versatile and looks elegant on most types of architectural styles. Want to create drama? Try painting your siding a dark slate gray and use lighter gray hues for your garage door, front door, window frames, and other trim. Want subtle contrast? Try a light gray on your house siding, a medium shade of gray on window trim, and a dark gray on your front door. Are you thinking about going modern with your paint, but still want to please the neighbors? 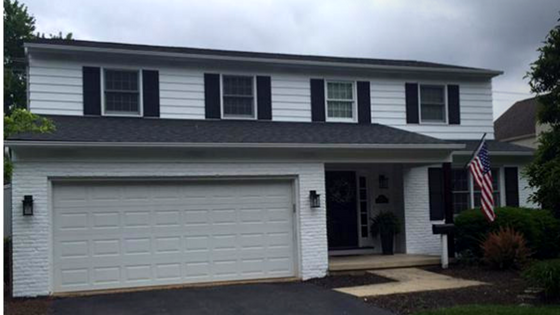 Dark gray siding with white trim can be a great option. A timeless white gloss paint on exterior trim can make your windows, shutters, and front door really stand out against the dark siding paint. If you’re looking to introduce some color to your home exterior but aren’t ready to go too bold, consider painting your house siding a neutral color and your trim in two additional neutral hues. Shades of beige and greige are classy siding colors that look beautiful when paired with white and black trim. Try painting your shutters and front door black, and window trim and garage door white to add a hint of color without going overboard. While a light gray, beige, or white can look beautiful on any home, these colors can often feel sterile or lack warmth. But painting your trim in warmer colors can make neutral siding appear much more inviting. Consider painting your front door in a warm color to tone down the coldness. Or, simply stain your front door, garage door, and other trim elements in a rich, warm hue to create contrast. White is a popular exterior color selection for many homeowners since it looks great on a variety of architectural styles. While white paint and trim can look amazing on the right home, consider combining a dark trim with white siding to add some flair to this classic siding color. Want a timeless look? Try using black on your shutters, front door, and window trim. A black glossy door always looks elegant and clean. Want to create warmth? Consider a deep, chocolate brown for your exterior trim elements. 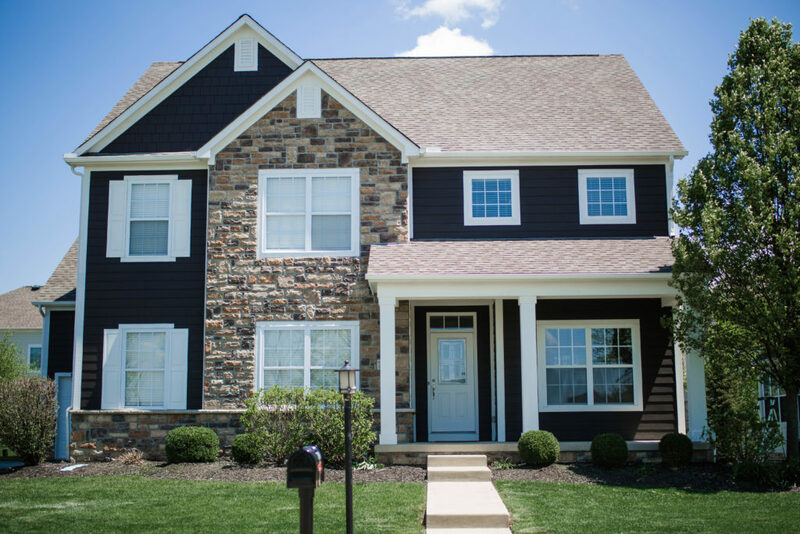 Navy is a great neutral hue that can add wonderfully elegant color to house siding. Because navy complements a variety of colors, it offers flexibility when it comes to trim. A darker front door combined with navy-blue siding and white trim will make your home truly stand out — in a good way! If you’re looking for a timeless take on this color combination, a white glossy door against navy siding can make your door pop. If you’re still not sure which paint color combination you should choose for your home, it’s always wise to contact a professional painting company for help. When you hire experienced exterior painters for your project, you can rest assured that you will receive a high-quality paint job and a free paint color consultation beforehand. A professional paint color consultant can help you decide on the best color combination that complements your home’s architectural details, neighborhood, and landscaping so your house looks its best for years to come. Good painters will also provide all documentation and information for you and your HOA regarding any color changes prior to starting on your project. Get a free painting quote today!